Virtual reality sometimes seems like magic. President Obama certainly seemed to think so this morning. 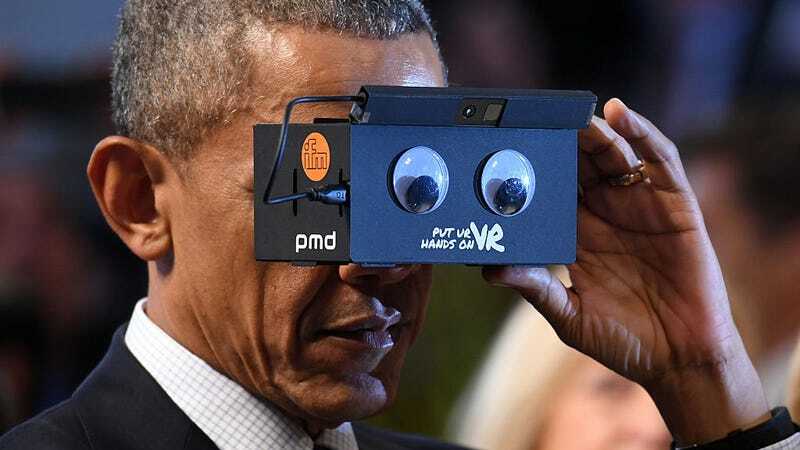 Obama is at the Hannover Messe industrial trade fair in Germany today, where he donned a set of VR googles alongside German Chancellor Angela Merkel. And my, what fun they had. You can imagine how the conversation may have played out.